Hockey is a fast paced sport played with a rubber puck and sticks. In order to keep every player safe, you must wear proper equipment while on the ice. 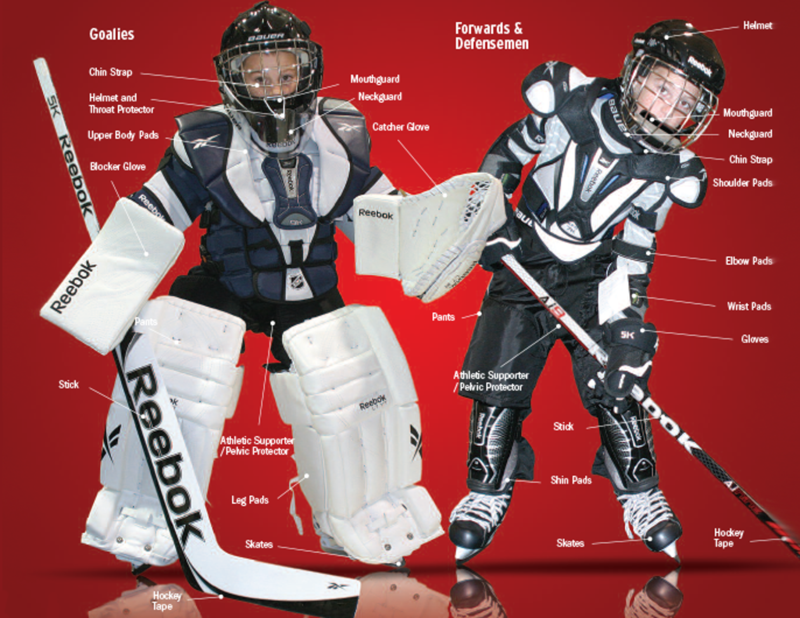 Your most important decision before starting hockey, should be to purchase properly fitted and comfortable equipment. When equipment is not suitably fitted, the player may be injured. that the equipment fits properly. ‘Hand-me-downs’ are a great way to save money but be sure to carefully inspect the items to ensure they are safe to wear. Hockey Canada offers an excellent resource called SAFETY FOR ALL. This book contains information about insurance policies as well as tips on equipment fitting. You can download a copy of it by visiting hockeycanada.ca.